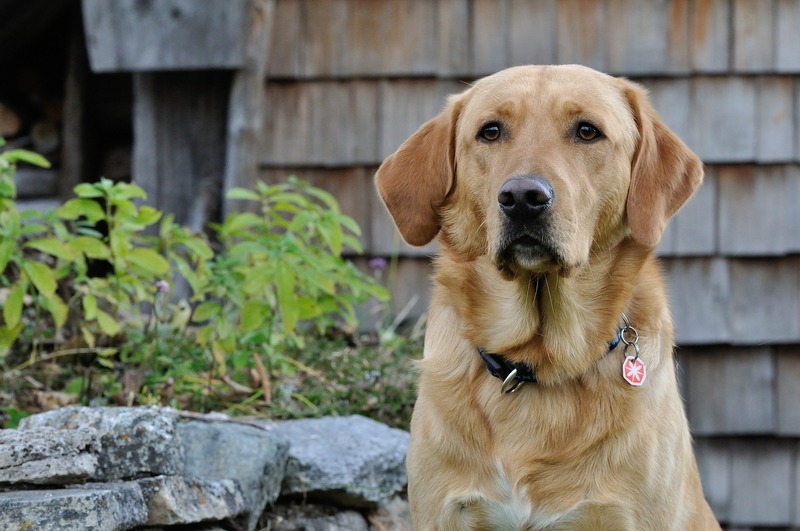 Scout, a 9 year old female Labrador, had been having urinary issues for weeks, including frequent urination, accidents in the house and bloody urine. An ultrasound was recommended. 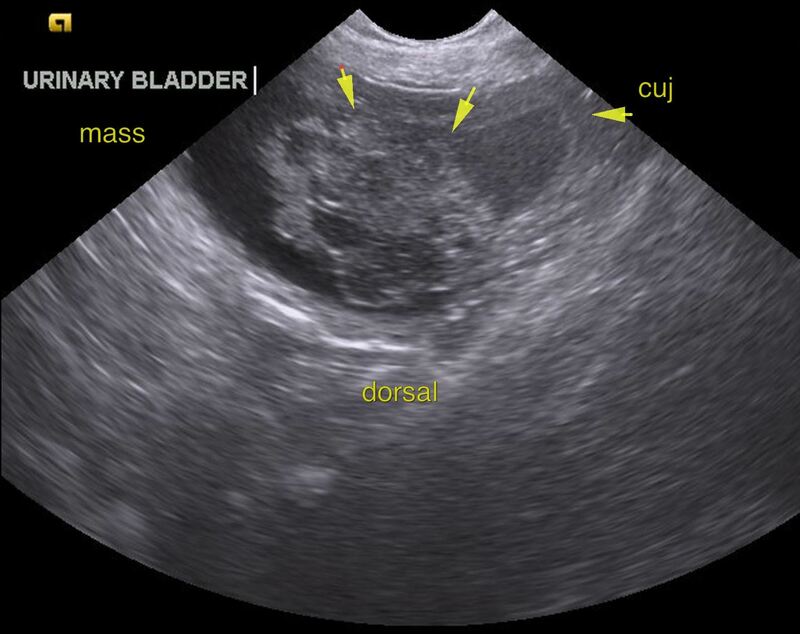 It revealed a big mass in Scout’s bladder (see yellow arrows below. The mass is grey-ish, urine is blackish). 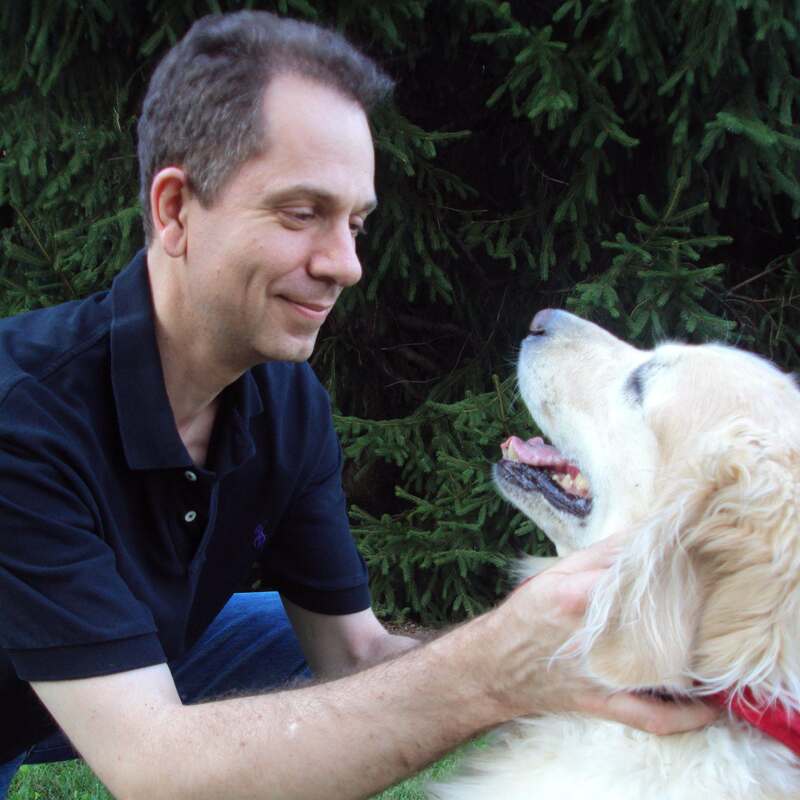 This was bad news since, statistically speaking, the vast majority of masses found in a dog’s bladder are cancerous (most often transitional cell carcinoma). Regardless, Scout’s loving owners elected surgery to give her every possible chance. Scout underwent a laparotomy (abdominal surgery) to have the bladder mass removed and biopsied. The mass was the size of a walnut. About one third of the bladder had to be sacrificed. The rest of the bladder was reconstructed with multiple stitches. Surgery went smoothly. Scout recovered well, and was sent home the next day. As expected, she did have a few days of bloody urine immediately after surgery, but it cleared up after a few days. The mass was sent to the lab for biopsy. After a week of agonizing wait, the biopsy revealed… that the tumor was benign! Despite the statistics, despite everybody’s opinion, and despite the ultrasonographer’s impressions, the mass was… a benign polyp. This was amazingly good news for Scout and her owners! Remember: a mass is not cancer until the biopsy says so. Please don’t make any drastic decisions based on assumptions and statistics. Scout was supposed to have bladder cancer, yet ended up with a benign polyp, which will not at all affect her lifespan. Previous: Your dog had WHAT removed?